BOHOLANOS SHOULD ASK SANTA CLAUS for more canned sardines and tuna for Christmas, because prices of fish are bound to hike soon, says the Regional BFAR (Bureau of Fisheries Aquatic Resources)—covering the Christmas season, as well. BFAR Fishery Administrative No 167-3 has declared the Visayan Sea as a “closed season” for mature sardines, herring and mackerel-very popular fish food species for the period November 15-February 16. Ouch. The Philippine Navy boats will be deployed in the area where violators can be imprisoned up to six months and a possible revocation of their licenses to fish. Fish supply will dwindle -and following the deathless law of economics- scarcity leads to higher prices. It is feared that commercial fishers from other provinces nearby- pinched by the ban on selected fish could encroach on Bohol waters and deprive our smaller fisher folks to fish for the other unbanned species of fish. Of course, the ban is not without scientific reasons. Due to overfishing and illegal fishing and the hunt for even less mature fish have led to the depletion of certain species to the detriment of public health which requires protein (from fish) in their daily diet list. The European Union had already warned countries, including the Philippines, for the proliferation of illegal fishers. Strong international pressure could result in the banning of Philippine sea fish exports including the thriving tuna industry in Mindanao, a major Philippine export. Of course, over the long term, the ban will hopefully result in reining in back the fish supply as the ban period will afford the fish to mate and lay egg larvae. So, in the meantime, grin and bear high fish prices and Santa Claus, who wants to bring pure joy with Rudolph The Red-Nosed Reindeer is not smiling. Head of the National cooperative body Benjie Oliva – strongly said there is a cartel controlling the supply and price of Bohol fish- long before this “closed season” ban order. But, in fairness, BFAR is doing its best. During the last few years, it has made a goal to erect 252 Community Fish Landing Centers (CFLC)all over the country -alongside freezer and stainless steel displays and in certain cases, even fish processing facilities. Bohol had its 10th of the 14 CLFC approved -in the sitio of Cogon Norte in Loon. While the objective is to help bring down the price of fish, the site is also a training center for fisher folks. According to Loon Mayor Elvi Peter Relampagos- very quickly the plan is to transfer the ownership and operation of the CLFC to an NGO or Fish cooperative. He is hoping that the 32 of the 67 barangays in Loon would use the facilities. It may be noted that one of the causes of the exorbitant fish prices has been the lack of landing facilities, storage, and a steady market, Relampagos hinted the Loon LGU can also assure the fisher folks to buy a certain percentage of their catch to short-circuit the thick layer of traders in between. Another BFAR -initiative is the 30 new fiberglass patrol boats for Bohol to ensure sustainable marine and coastal resources management. The 16- horsepower Honda engined patrol boats are effective adjuncts to sea management. Fifty-three of those are going to neighboring Cebu as part of Region 7. Maintaining our marine resources is one way of cutting down poverty and ensuring food sufficiency in the rural areas. 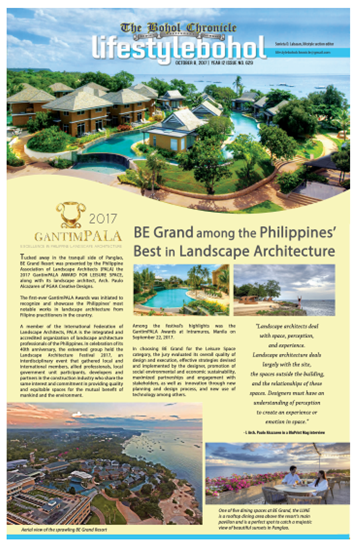 These BFAR initiatives had the full support of staunch environmentalist-senator Loren Legarda and BFAR Regional Director Dr. Allan Poquita whose mother reportedly hails from Loon. But given the vagaries of the weather and many man-made violations in the open sea fishing, perhaps what Boholano entrepreneurs can consider -as a long-term step- is develop aquaculture in the province. In the Philippines – that means the propagation of commercial finfish, mollusks, seaweed, and crustaceans.It has become a viable business model due to the propagation of pellet-like feeds to the sea animals in a contained inland water habitat. Do note that as of today, RP ranks as the fifth highest aquaculture producer in the world right after China, Indonesia, India, and Vietnam. Note that all five have a very high population -hungry for protein-fish. The Philippine aquaculture has produced mainly milkfish, prawns, and seaweeds, totaling 1.3 million metric tons annually. We are the world’s third-largest producer of aquatic plants -including seaweeds. The Alturas Group is already exporting in a big way world-class prawns in many hectares of land. Even in a small-scale manner, it can also be done-for local consumption. 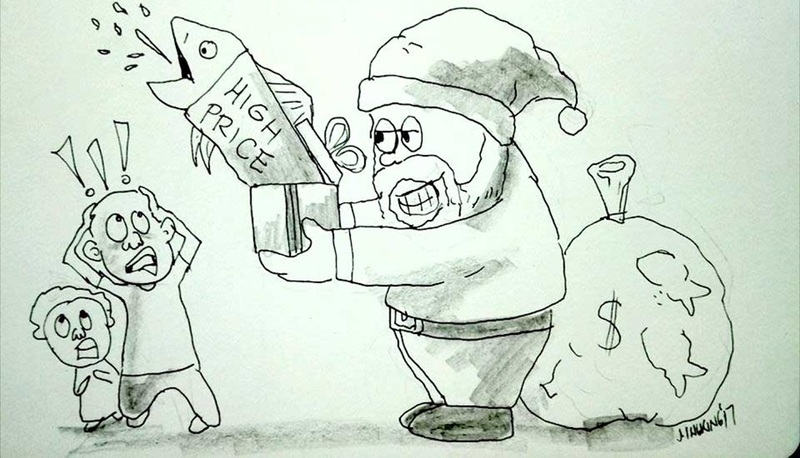 At any rate, brace for higher fish prices these coming holidays- a dire development even as the Big Jolly Fellow comes to town.